Unity Stamp Company: Fall Is In the Air!!! Fall Is In the Air!!! It is Stephanie here with you today sharing a little Fall card!! I am not sure about you but I am ready to get those fall supplies out of my stash!! For this card though I did get out some new things that I recently purchased to get me in the mood for Fall lol. These papers are so gorgeous and they are from Prima and I thought they paired nicely with this sweet little whimsy girl you can find her here. I colored her with my distress markers and than just added some fun little touches like washi ,twine and a leaf diecut. Now onto my favorite part of the post showcasing a customers card!! 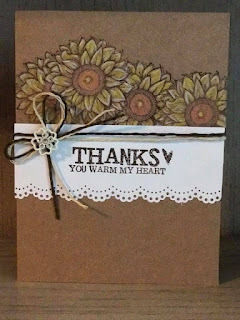 I just love this card and the warm fall tones on the Kraft cardstock just beautiful!!! 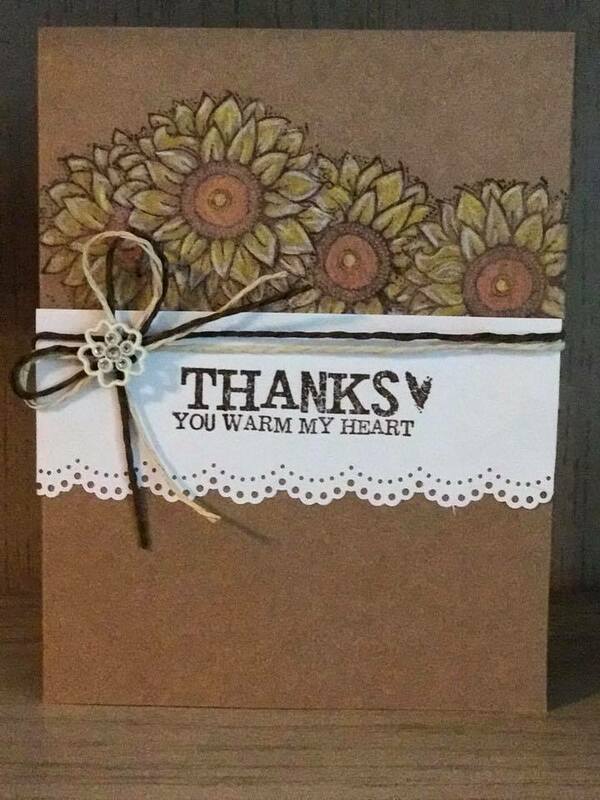 Thank you so much Mechele for sharing this gorgeous card!!! That's it for me today have a great rest of the week!! !